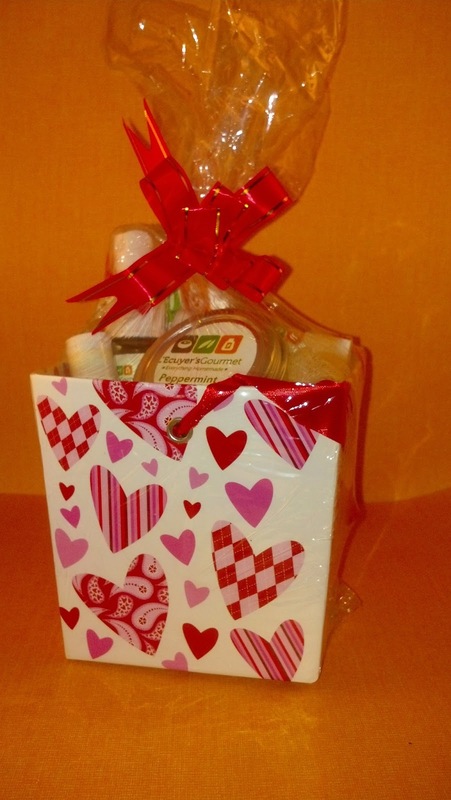 L'Ecuyer's Gourmet: Valentine Lovers Gift Basket!! 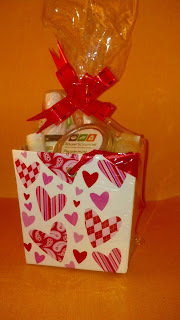 Valentine Lovers Gift Basket! A gift basket of 2 Chocolate Lovers Lip Balm (his & hers! ), Chocolate Covered Strawberry Body Spray, Cuticle Cream, Peppermint Foot Cream and Chocolate Mint 3 butter Soap (that looks good enough to eat but please don't!) with a loufa!! Spend an incredible evening together!! (gift basket may vary). (Total value is $30.00 - save $6.00 buying as a set!) Order by February 8th to ensure delivery! !